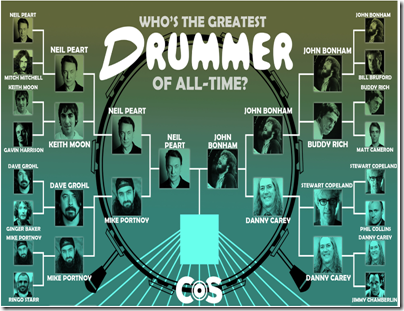 As you can see, Peart squared off against many former influences, including Mitch Mitchell and Keith Moon. 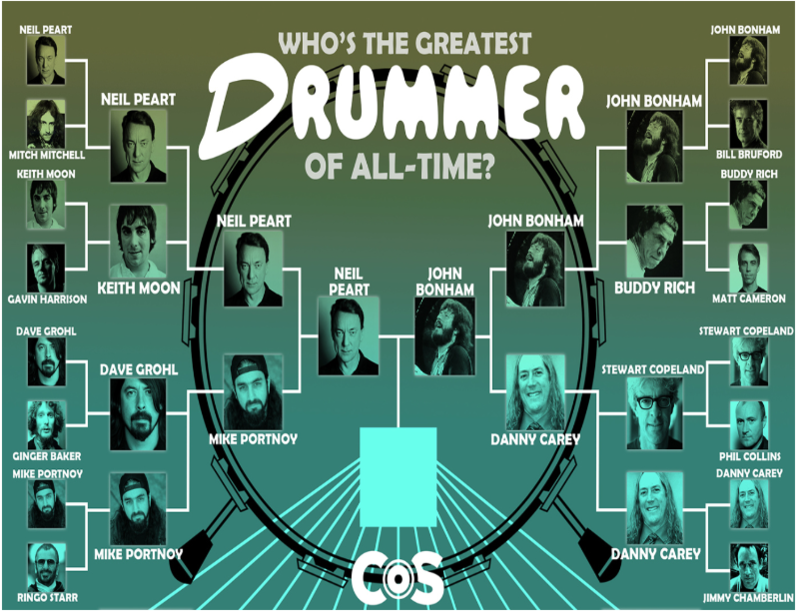 In the last round, it was Peart vs. Portnoy, with Peart coming out ahead. We'll report back the results.